Rooftop view from Gaudi's Casa Mila in Barcelona. 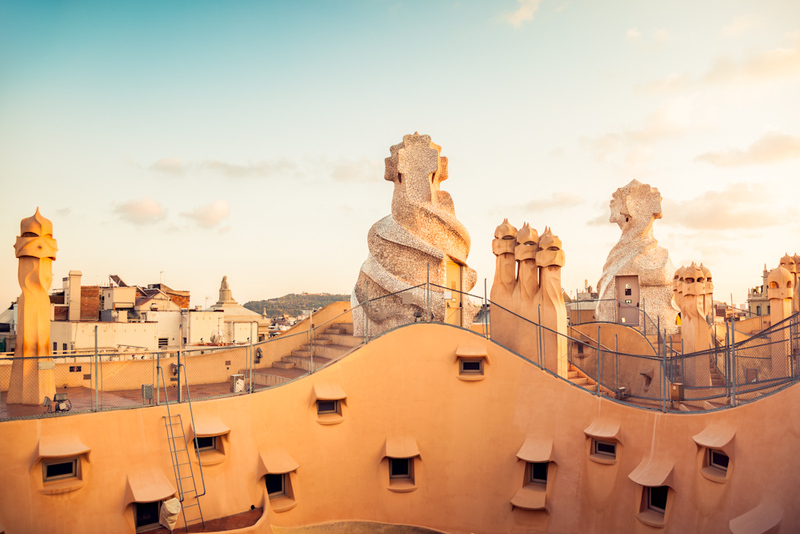 With a plethora of architecture to marvel at, plenty of souvenirs to collect and a variety of delicious Spanish fare to fill your belly, you wont run out of things to do in Barcelona. But it’s also a place that’s steeped with history, below we’ve listed four fun facts about this spirited city. 1. Who is Antoni Gaudi? 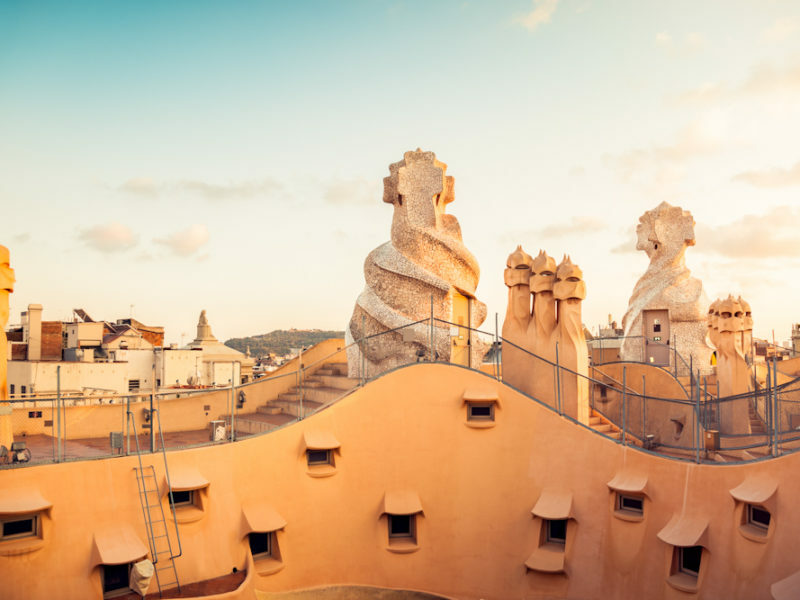 Barcelona’s architecture is some of Europe’s most intriguing, thanks to Antoni Gaudí, famed for designing nine of the city’s structures including Casa Mila, Parque Güell, and his magnum opus La Sagrada Família, which he started working on in 1883 at the age of 31. Though plans for the cathedral were already drawn up, the architect imposed on it his eclectic style of curves, shapes and ornamentation, a unique approach to the Art Nouveau movement. Consecrated as a basilica by Pope Benedict XVI in 2010, construction of La Sagrada Família continues to this day and is set to be complete by 2026, 100 years after Gaudí’s passing. The year Catalonia, of which Barcelona is the capital, became Spain’s first mainland region to ban the ancient tradition of bullfighting on animal cruelty grounds. The incredibly fast-moving Flamenco is often considered Spain’s national dance, however in the Catalan region the traditional dance is the Sardana, performed by a number of people in a circle to a band of 10 wind instruments. It dates back as early as the 16th century and, as the symbol of Catalan culture, it was even banned during the Spanish Civil War. Head to the Catedral de Barcelona to see locals perform the Sardana on Saturday evenings and Sundays at noon. Gustave Eiffel originally wanted to build the Eiffel Tower in Barcelona for the 1888 Universal Exposition but the plans were rejected because the tower did not fit in with the plans of the city. It was built in Paris a year later.